One of the great things about Action Packed Paintball Games is that we offer you a wide selection of freedom. 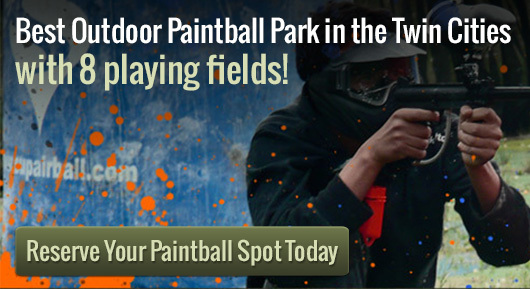 Want to have a paintball birthday bash? No problem! All you need to do is call and say you’re looking for a good time. We have locations in Minneapolis and surrounding metro areas, Action Packed Paintball features an outdoor paintball park that will color your world. The staff members here are experienced and they know what it takes for people to have a good time with paintball. There are different rental packages. You should choose the package that best fits your situation. The thing that you need to keep in mind is that, no what you choose, you are almost guaranteed to have a good time. Paint ball games are fun and they teach people how to think. It is an extreme sport because of the amount of fun that can be had while playing paintball. Fun and adventure is never far away when you decide to play a game of paintball with your friends. This is the type of game where everyone has a good time. The great thing about Action Packed Games is that we are dedicated to you and making sure that you have a good time. Anyone who is looking for paint ball games would do well to consider this company. The fun is never far away!